James fills in the gaps for you, the customer, to Deliver the Promises Made to the C-Suite. The C-Suite approved the big bucks to deploy a new HR Cloud solution. You promised them efficiency, transparency, and, that’s right, analytics. 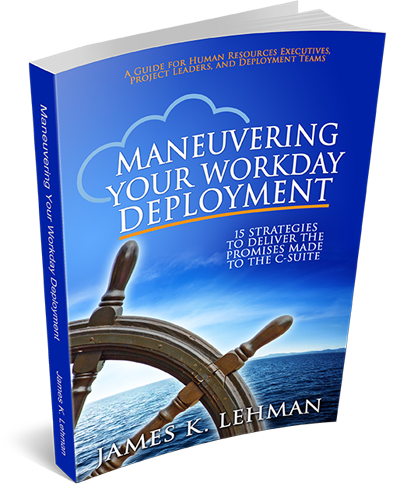 From award-winning author James K. Lehman’s new book, “Maneuvering Your HR Cloud Deployment – 15 Strategies to Deliver the Promises Made to the C-Suite.” – James shares key strategies and lessons learned from multiple HR cloud deployments.